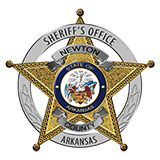 Newton County Sheriff Keith Slape said that a 14 year old Newton County girl was reported missing on May 14th was found on May 16th. Slape said that 46 year old William Thomas Hammond of Cleburne, Texas was arrested by the sheriff's office and charged with kidnapping. He was housed at the Newton County jail until he was released on a $250,000 bond. The sheriff said that an investigation is pending due to multiple jurisdictions may also have charges.